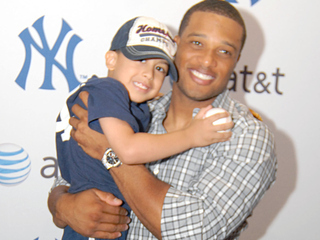 NY Yankees All-Star Robinson Cano visiting children in a Taiwan hospital. Cano chuckled and smiled before answering sensibly. 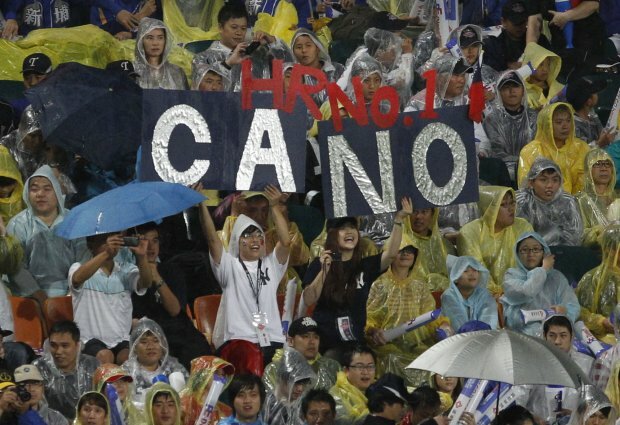 A fan favorite at the 2011 MLB All-Star Series in Taiwan, Cano is the consummate professional. 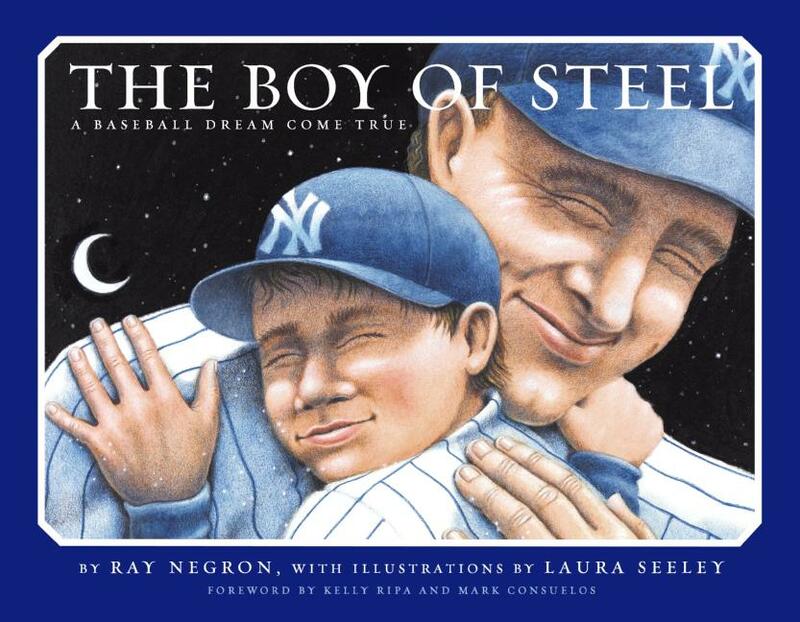 When playing in MLB, the three-time Silver Slugger recipient and winner of the 2011 Home Run Derby–which raised over $600,000 for the Boys and Girls Clubs of America and other charities–is the Captain for the Yankees Children’s Health Fund Home Run Club, where fans pledge their support for quality care to homeless and low-income children with every Yankees home run hit in a season. Robinson Cano supporting education in his homeland. In his hometown of San Pedro de Macoris AKA the “Cradle of Shortstops” because of countless MLB players who were born there in the Dominican Republic, Cano remembers those who are forgotten and even not heard at the CAES Children’s School for the Deaf by showering the kids with gifts and love for the holidays. 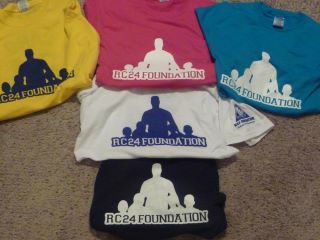 The RC24 Foundation’s mission is to serve under-privileged children internationally and improve their quality of life. 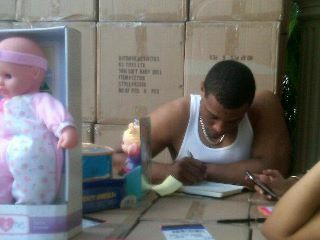 Every year Robinson Cano donates dolls, toys and baseball jerseys to Dominican Republic children. back is just as important–if not more important than playing baseball. He considers himself blessed to play the game he loves for a living and wants to help as many kids as he can with the fruits of his labor. 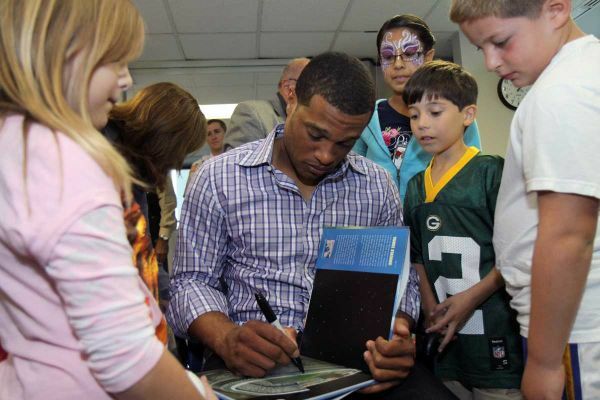 Instead of simply lending his name or making public appearances to raise money for his RC24 Foundation, Cano is a hands-on international ambassador for the welfare of children. American Red Cross National Celebrity Cabinet bilingual member Cano records public service announcements and donates large amounts of money and blood. Robinson Cano coaches future MLB stars in San Pedro de Macoris, DR.
Finalist for the 2006 Roberto Clemente Award, MLB’s accolade to the league’s ultimate humanitarian who exemplifies the late Hall of Famer’s values and commitment to community and benevolence, Robinson Cano shares the same altruistic mindset and the same “RC” initials as the Latino legend. At 29-years-old and on pace to join Clemente in the elite 3,000 hit club, Cano is showing increasing power every season–which is great news for the Captain for the Yankees Children’s Health Fund Home Run Club. Cano was acknowledged by MLB with a 2011 Greatness in Baseball (GIBBY) Award. Voted by millions of visitors to MLB.com, front-office personnel and MLB alumni to receive the Greatness in Baseball Yearly (GIBBY) ‘Wow Factor’ award, Robinson Cano is undoubtedly the most interesting player in the game today.